When it comes to the ease and freedom of flight, it’s hard to beat the United States. 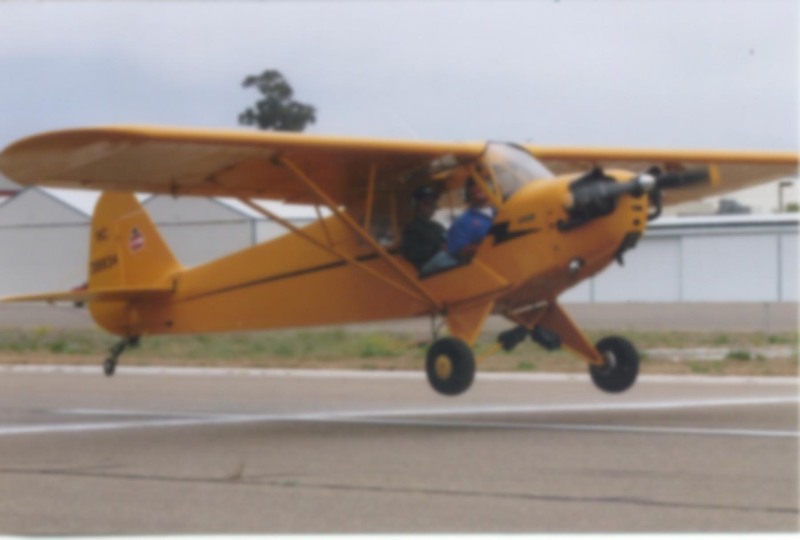 We can obtain an IFR clearance moments after filing a flight plan and operate pretty much anywhere at anytime without extensive paperwork or asking anyone’s permission. If you’re flying VFR, life is even simpler. One of the first lessons an aviator learns when journeying abroad is that there are 195 countries out there with 195 contrasting sets of rules, and almost all of them are more complex than what we’re used to at home. And the flying and customs and immigration procedures can change without notice. The challenge is akin to the one you’d face as a driver if each town’s road signage and markings were different. An octagonal red sign might mean “stop” in one city and “yield” in another. At a minimum, you’d be required to invest a great deal of time and effort in researching the lay of the land before every trip. And so it is with international flying. That’s one of the reasons there are a wide variety of third-party planning firms, such as Universal Aviation, Jeppesen, or ARINCDirect Flight Support Services. These companies have the staff and resources to keep abreast of the global situation and ensure flight crews don’t end up flying on the wrong side of the proverbial airway. Sure, you can do it “in house,” and many turbine operators do. There are non-domestic flights where these services are probably superfluous (hello, Canada! )—and just as many occasions when they can be worth their weight in gold (Namaste, India!). One of the biggest mistakes I’ve seen operators make when traveling abroad is allowing these third-party trip handlers free rein. It’s vitally important to stay involved in the process. Don’t just hire the help and walk away. For one thing, it leaves you in the dark and unable to correct erroneous assumptions or information about your upcoming journey while it’s still easy to fix. For another, it’s a grave error to assume that because you’re paying someone to arrange flight plans, permits, ground services, parking, hotels, fuel, and security that it’s going to be done properly—or done at all, as I’ve learned from bitter experience. From mangled flight plans to missing visas and incorrect customs information, trips can be delayed, and heavy costs incurred, in an infinite variety of ways. 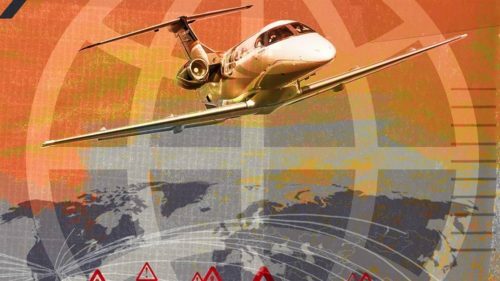 A recent Business Aviation Insider article said it best: “Regardless of whether trips are coordinated internally or through a trip-planning organization, the overall responsibility remains with the operator,” according to John Harpool, an industry veteran with 25 years of international trip planning and flight operations experience. “The mitigation of threats to safety and customer experience should shape the decision on how a particular operator chooses to plan international missions,” he said. The National Business Aviation Association uses the term “aircraft operator,” but to me that reads as “pilot.” Probably because I’m a pilot, but also because it just makes sense. I’m the one who will be doing the carpet dance (sans carpet) on that foreign tarmac when a t is not crossed on some obscure piece of paper. The third-party trip planners? My company dispatchers? They’ll be in a comfortable office back home, or, more likely, asleep in their own beds. No matter how large the operator, when you’re on the other side of the world and the other side of the clock in a place where even rudimentary cell service is not a foregone conclusion, there’s a degree to which you’re literally on your own. This stuff is no joke. I’ve seen flight crews land on the wrong side of a wall of bars because something small got missed. Even when everything’s done properly, the misrouting of paperwork or a simple email miscommunication—no fault of anyone on “your” end—can still lead to delays and fines on arrival. At times these penalties can be excessive, and being N-registered, I’ve occasionally received the distinct impression that the local authorities realize I’m on their turf and they’re going to really enjoy cutting me down to size. One of my worst third-party flight planning episodes took place on a trip to Africa. Since my experience on that continent was limited, I asked the third-party handling company to flight plan the return leg to the United States using the criteria I provided. Surely they would have local knowledge about preferred routes and procedures that would smooth the way, right? When the paperwork arrived the next day, I was incredulous. They routed me directly through a Category 5 hurricane with tops much too high for us to fly over. It was such a gross error that I spent nearly an hour trying to figure out why they had done this. What had I missed? Was my weather information outdated? Did they know something about the path of the hurricane that I didn’t? When I pointed out the routing issue to the handler, he was oblivious. Worse still, he didn’t seem bothered by the error. I asked him to re-plan the trip and route us around the storm. The second set of paperwork sent us over Cuba, and when I inquired about an overflight permit, it was clear he hadn’t even thought about it. Apparently I knew more about this part of the world than he did. Or perhaps I just had more to lose. This wasn’t a small-time firm, either—it was one of the largest international flight-planning companies in the world. After the trip, I filed a complaint and received a full refund of the handling charges. Speaking of Africa, one night, during a tech stop in Dakar, the handler’s representative was replaced by someone who looked official but was only there to shake down the crew for cold, hard cash. Fees are always direct-billed to the third-party handler, so the whole situation was suspect from the get-go. When the crew refused to pay, the imposter’s cronies used a vehicle to physically block the aircraft from departing, and things almost got ugly. Our ace in the hole turned out to be the aircraft’s passenger manifest: a half-dozen well-armed U.S. government agents. Bottom line, when you’re in another country, you’re at the mercy of not only their rules, but also their interpretation of those rules—and it can change by the day, hour, or minute. So while it might not stave off every snafu, I’ve learned to take Ronald Reagan’s famous advice to heart: Trust, but verify. I had a similar incident a little over a year ago when ferrying a king air B100 to Uganda. We believed everything was in order when we departed Djibouti only to be greeted on the ramp in Entebbe by police. Apparently the landing permit was not filed properly. We spent a few hours in the office of the head of the CAA geting a crash course in Ugandan FARs as well as a two hour long interrogation by local police wanting to know our business in Uganda. To be fair everyone was professional and polite and at no time did we feel in fear of our safety. Our passports were confiscated until the company paid the $10,000 fine, payable only in US dollars by the way. The whole process took about three days and ended with a handshake from the CAA Head and an invitation to enjoy all that Uganda had to offer for as long as we liked. Moral? Always verify the paperwork, be polite, and quick access a few grand in good old greenbacks can’t hurt. That sounds like a fairly typical result after a piece of paper isn’t properly filed. Often, those responsible for completing and submitting these documents are not the ones on the receiving end of the tongue lashing and detainment. If they were, I suspect there would be far fewer errors! You give good advice re: verifying the paperwork, although that isn’t always possible beyond asking questions of your company dispatchers. “Yes, we submitted that landing permit” might be all you can get. Sometimes it was all filled out correctly and submitted, yet the paperwork never gets into the right hands on the other end and there’s no way to have prevented the error. And there are so many other oddball situations. For example, I recall one time in west Africa where the fueler would not give us any Jet-A because my company used a DBA which did not match the exact name on the fuel release paperwork. As you noted, having cash on hand is often helpful for these situationsl. I’m not sure that’s always a good long-term solution for shake downs (not that your situation fit that description, of course). When “authorities” know you’ve got cash, they sure seem to find a lot of discrepancies and new fees in a hurry. Cash solves many problems, but it also seems to make things worse — and the price higher — for the next crew. Anyway, thanks for relaying your story, Travis. I’m glad it all ended happily!